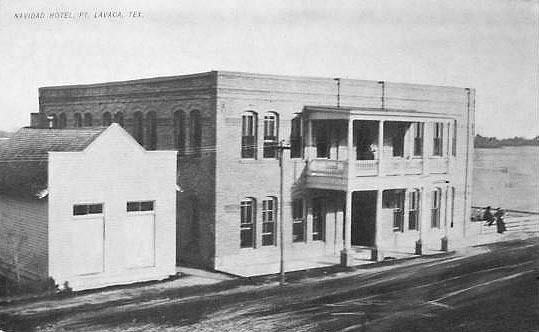 The Navidad Hotel in Port Lavaca is almost 100 years old and is still standing strong near Port Lavaca Main Street. Note that on the right side of the photo the bay is near the bluff. The cove in the rear of the hotel was a prime swimming/bathing area for residents, and visitors that came to Port Lavaca, to enjoy the salt water. At sometime in the past, the owner of the Navidad changed its name to the Seagull Hotel. As of March 2007 the hotel is undergoing internal renovation. 2006-10 portlavacamainstreet.com - All rights reserved.